Brooklyn, New York is a vibrant and exciting place to live, yet a hidden danger can be found in the older homes and businesses and most people are unaware of its existence: Asbestos. 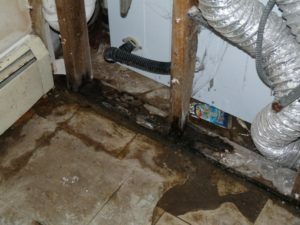 If your home or commercial property in Brooklyn, NY was built before 1978, it is almost certain your home or business contains hazardous asbestos and it could be making your employees or loved ones very sick. It is crucial that any asbestos be removed and we can handle that for you. We have been doing asbestos removal and asbestos abatement in the Brooklyn area for more than two decades. Asbestos was used in many kinds of building materials well into the 1970’s: asbestos insulation and siding, asbestos plaster and sheetrock, asbestos floor tile and roof shingles and even, and most commonly, “popcorn” ceilings. As the building ages, these materials degrade, allowing invisible asbestos fibers to enter the air—and the lungs—of anyone exposed, causing cancer, Mesothylioma, Asbestosis and a host of other life-threatening diseases. We send in an independent team to sample the air for asbestos. If it is found, our certified, licensed and insured team of experienced and highly trained technicians immediately seal the area off and set to work on removal. Hazardous materials are wetted and negative air machines used to make sure no more asbestos escaped into the air, while the technicians scrape and remove any asbestos found. It is disposed of off-site at a designated facility and abatement begins. Any areas exposed during removal are sealed with a special shellac and the area carefully cleaned with filtered machinery. Then the air is retested and, only if no more asbestos is found, do we allow your family or workers to return to the building, in the newly safe environment. For asbestos removal and abatement services in Brooklyn, NY call (877) 645-1428.